If you would like to learn how to become a part of our winning team, please visit our job opportunities section. Full-time, part-time, and seasonal positions exist for people of all ages and levels of education. The City of Monterey Park is an equal opportunity employer. There are three classifications or “levels” Reserve Police Officers. Level 1 reserve officers may exercise the full powers and duties of a police officer without immediate supervision. Level 2 reserve officers may perform the same duties, but only under immediate supervision. Level 3 reserve officers work under direct supervision and are limited to duties that generally do not involve direct law enforcement, such as providing security and traffic control at special events, parking enforcement, working in the jail, collecting and processing evidence, and other duties that are unlikely to result in physical arrests. The Monterey Park Police Department uses all three levels of reserve officer. General duties and assignment of Level 1 and Level 2 MPPD reserve officers include uniformed patrol, which involves responding to crimes in progress, traffic accidents, taking crime reports, issuing citations and making arrests. Officers also provide basic law enforcement services at community events, such as parades, festivals, sports events and dances. All reserve officers are required to attend monthly meetings and monthly firearms training. Level 1 and Level 2 reserve officers also must complete 24 hours of continuing professional training every two years. Upon successful completion of the department’s field training program and probationary period, reserve officers may be considered for any of the following assignments: Uniform Patrol, Community Relations, Detectives, Jail Operations, Range Safety Officer, Traffic Investigations, Gang Enforcement, Narcotics, Officer Recruitment, Bike Patrol, or Special Response Team (SRT). 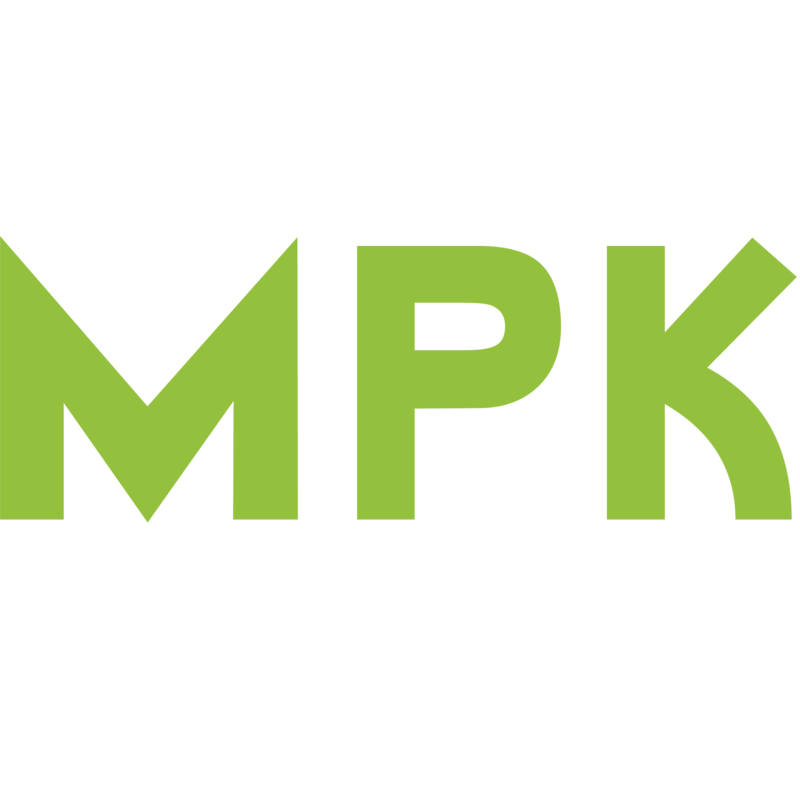 The MPPD Reserve Program is a professionally operated program managed and administered by reserve staff. Reserve staff holds rank within the reserve organization to better perform administrative duties, such as: training, recruitment, patrol, special details, range and monthly meetings. Reserve officers are sworn voluntary employees of the City of Monterey Park. It is the policy of the Monterey Park Police Department that tattoos, other forms of body art and/or objects used to pierce the body, shall not be visible to the public during performance of duties. Additionally, tattoos, body art and/or objects utilized in body piercing shall not be displayed to other City and Department employees while on or in property and/or facilities owned, operated or under the dominion and control of the City/Department, where the content of the tattoo, body art and/or piercing may be perceived by a reasonable City/Department employee as evidence of harassment or discrimination. Knowledge of basic reading, writing and spelling. Skills/Abilities - Follow and understand oral and written instructions, oral and written communications skills, gain cooperation of others, analyze situations, learn the use and care of automobiles and small firearms, meet standards of physical and health conditions, endurance and ability. Education – High school diploma or equivalent. Age - Candidates must be 21 years of age prior to completion of academy training. Physical Requirements - Requires heavy lifting, carrying, climbing, running and exposure to potentially hazardous situations and environmental conditions. Vision must be 20/70 uncorrected (20/20 corrected), normal color perception and normal hearing. Possession of a valid California Driver’s License and U.S. citizenship is required at the time of appointment. Candidate’s whose qualifications are determined to best meet the City’s needs, will be invited to take the Written Exam. Those who pass the Written Examination will be invited to the Oral Board Interview. Candidates must pass a pre-employment medical examination, including a drug/alcohol screen, a background investigation, a voice stress analysis and a psychological examination. An applicant must pass all phases of the selection process prior to appointment. Applicants with legal disabilities who require special testing arrangements must contact the Human Resources Department at least five (5) days prior to the examination date. Continuous Recruitment - may close at any time without prior notice. When a sufficient number of applications are received, testing will be scheduled. Completed City application, including any related educational or training documents must be submitted through the online application system within the filing period. The Police Officer Recruit is a non-sworn, probationary position and attends formalized training at a police academy to learn practices, procedures and techniques of law enforcement, c rime prevention, community relations, first aid, physical conditioning and handling of weapons. Police Officer Recruits must successfully pass all phases of training to retain the position. It is the policy of the Monterey Park Police Department that tattoos, other forms of body art and/or objects used to pierce the body, shall not be visible to the public during performance of duties. Additionally, tattoos, body art and/or objects utilized in body piercing shall not be displayed to other City and Department employees while on or in property and/or facilities owned, operated or under the dominion and control of the City/Department, where the content of the tattoo, body art and/or piercing may be perceived by a reasonable City/Department employee as evidence of harassment or discrimination. After a conditional job offer is made, the candidate must pass a pre-employment medical examination, including a drug/alcohol screen, a background investigation, a voice stress analysis and a psychological examination. An applicant must pass all phases of the selection process prior to appointment. All newly hired Police Officer Recruits are required to sign a three (3) year employment agreement with the City of Monterey Park. Police Officer Recruit (Pre-Service) candidates are currently attending, or have graduated from a California POST-certified Police Academy. Upon appointment as a sworn Police Officer, they will be required to complete field service training. Police Officers patrol the community to prevent crime and enforce laws, investigate complaints, apprehend criminals and suspects, protect lives and property, assume responsibilities and perform related duties as required. It is the policy of the Monterey Park Police Department that tattoos, other forms of body art and/or objects used to pierce the body, shall not be visible to the public during performance of duties. Additionally, tattoos, body art and/or objects utilized in body piercing shall not be displayed to other City and Department employees while on or in property and/or facilities owned, operated or under the dominion and control of the City/Department, where the content of the tattoo, body art and/or piercing may be perceived by a reasonable City/Department employee as evidence of harassment or discrimination. Knowledge of policies, rules, instructions, laws, regulations and police literature; functions of law enforcement; armed and unarmed defense, high-speed emergency driving, life-saving techniques, vehicle code and penal code. Skills/Abilities - Follow and understand oral and written instructions, oral and written communications skills, gain cooperation of others, analyze situations, learn the use and care of automobiles and small firearms, meet standards of physical and health conditions, endurance and ability. Education – High school diploma or equivalent. Physical Requirements - Requires heavy lifting, carrying, climbing, running and exposure to potentially hazardous situations and environmental conditions. Vision must be 20/70 uncorrected (20/20 corrected), normal color perception and normal hearing. Enrollment in or graduation from a California POST-certified Police Academy, possession of a valid California Driver's License and U.S. citizenship are required at the time of appointment. Police Officer (Pre-Service) applicants who meet the qualifications will be invited to take the Physical Agility Test. Those who pass the Physical Agility Test will be invited to take the Written Examination. Those who pass the Written Examination will be invited to the Oral Board Interview. After a conditional job offer is made, the candidate must pass a pre-employment medical examination, including a drug/alcohol screen, a background investigation, a voice stress analysis and a psychological examination. Applicants must pass all phases of the selection in order to be eligible for appointment. 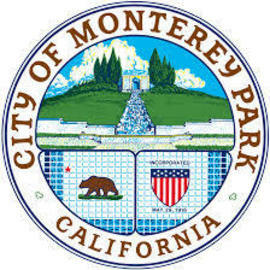 All newly hired Police Officers are required to sign a three (3) year employment agreement with the City of Monterey Park. Applicants with legal disabilities who require special testing arrangements must contact the Personnel Department at least five (5) days prior to the examination date. Continuous Recruitment - may close at any time without prior notice. Completed City application, including a copy of the diploma from a POST-certified Police Academy, a copy of your POST written exam T-score, if test taken within a year of application, and any related educational or training documents must be submitted through the online application system within the filing period. Please visit www.montereypark.ca.gov to apply online. Police Officer (Lateral) candidates have a valid, Basic California POST certificate, are currently employed as a police officer and have passed their probationary period with their cur rent employer. Upon appointment, they will be required to complete field service training. Police Officers patrol the community to prevent crime and enforce laws, investigate complaints, apprehend criminals and suspects, protect lives and property, assume responsibilities and perform related duties as required. It is the policy of the Monterey Park Police Department that tattoos, other forms of body art and/or objects used to pierce the body, shall not be visible to the public during performance of duties. Additionally, tattoos, body art and/or objects utilized in body piercing shall not be displayed to other City and Department employees while on or in property and/or facilities owned, operated or under the dominion and control of the City/Department, where the content of the tattoo, body art and/or piercing may be perceived by a reasonable City/Department employee as evidence of harassment or discrimination. Knowledge of policies, rules, instructions, laws, regulations and police literature; functions of law enforcement; armed and unarmed defense, high-speed emergency driving, life-saving techniques, vehicle code and penal code. Skills/Abilities - Follow and understand oral and written instructions, oral and written communications skills, gain cooperation of others, analyze situations, learn the use and care of automobiles and small firearms, meet standards of physical and health conditions, endurance and ability. Physical Requirements - Requires heavy lifting, carrying, climbing, running and exposure to potentially hazardous situations and environmental conditions. Vision must be 20/70 uncorrected (20/20 corrected), normal color perception and normal hearing. Possession of a valid California Driver’s License and a current Basic POST Certificate is required at the time of appointment. Must be currently employed as a police officer and have passed their probationary period with their current employer. Police Officer (Lateral) applicants who meet the qualifications will be invited to take the Physical Agility Test. Those who pass the physical agility test will be invited to the Oral Board Interview. After a conditional job offer is made, the candidate must pass a pre-employment medical examination, including a drug/alcohol screen, a background investigation, a voice stress analysis and a psychological examination. An applicant must pass all phases of the selection process prior to appointment. All newly hired Police Officers are required to sign a three (3) year employment agreement with the City of Monterey Park. Continuous Recruitment - may close at any time without prior notice. Completed City application, including a current Basic POST certificate, and any related educational or training documents must be submitted through the online application system within the filing period.